A former top official of the Holy Land Foundation for Relief and Development (HLF) is trying to whitewash the Hamas charity's true history in a detailed self-interview published by the Washington Report on Middle East Affairs (WRMEA), a virulently pro-terrorist and anti-Israel publication. Shukri Abu Baker was HLF's chief executive, but now is serving 65 years in prison for conspiring to provide material support to the terrorist group Hamas. 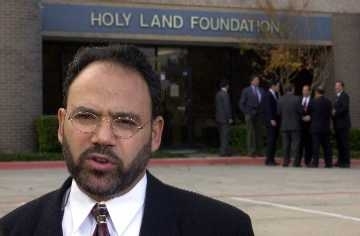 Jurors in Dallas determined that under Baker's control, HLF illegally routed more than $12 million to Hamas. But, Baker claims, the case "was an insult to the American judicial system and ravaged the lives of those who were only trying to alleviate suffering." The Fifth Circuit Court of Appeals disagreed, upholding the convictions of Baker and four co-defendants in 2011. The court cited evidence which "contradicted a sworn declaration from Baker wherein he had denied that he and other HLF board members had any connection with Hamas." Those exhibits showed that HLF was part of broader Muslim Brotherhood conspiracy called the Palestine Committee, which established a network of organizations to provide "strong support for their tool and striking wing, the Islamic Resistance Movement (Hamas)." The Hamas-support network included a propaganda arm in Texas and Chicago (the Islamic Association for Palestine), a northern Virginia think tank (the United Association for Studies and Research), and a political operation that has reconstituted itself and continues to engage in pro-Hamas propaganda today. Baker's "interview" isn't really an interview – a note at the outset explains that he wrote his own questions to answer. "As time passes, there are many of our young people who don't have a close understanding of the Holy Land Foundation and the valuable work it was pursuing," Baker wrote. The "interview" offers those young people his version of events. "I carried the little orphans close to my chest," he said. "I visited with the indigent families inside their rundown houses. I listened to college students and learned their frustration as well as their aspirations." Had he known some of the Palestinian groups which received HLF's money were controlled by Hamas, "I would have cut them off," he said. That's odd, considering Baker received correspondence informing him directly that the Palestinian charities which HLF sent money to were controlled by Hamas. It's also odd, considering how openly Baker and HLF praised Hamas at their fundraisers and in publications. 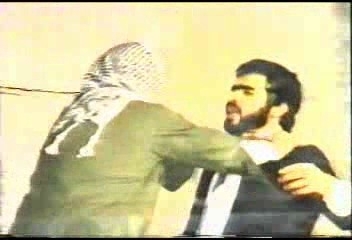 and Abdullah Azzam with Ahmad Yasin. Get rid of these enemies. O sword of the Muslims. The event concludes with Baker thanking Hamas leaders, Mahmoud al-Zahar and Sheik Jamil Hamami, for their presence, "...and we thank our guests who came from the ends of the world: Dr. Mahmoud al-Zahar and Sheik Jamil Hamami and we thank you as well and all the brothers and sisters who helped make this wonderful festival a success." Baker also penned a poem called "Hamas Hayzum Has Arrived" in Ila Filastin, published by the Islamic Association for Palestine (IAP), a fellow Palestine Committee branch. In Islamic tradition "Hayzum" is the celestial horse that was used by the angel Gabriel to send messages to the Prophet Muhammad. The concluding lines of the poem said, "'Hayzum' Hamas has arrived ... and we will not accept any other than Hamas." In response to another challenging question Baker asked himself, "Did it ever cross your mind that your work in charity would land you in a federal prison?" Baker said he "...thought saving lives and spreading peace and prosperity was a noble thing to do, thus, not in my wildest dreams have I thought charity would be criminalized in this country. Apparently I was wrong." Deception is not new to Baker. He attended a closed-door 1993 meeting with fellow Islamists in a Philadelphia hotel to map out a strategy to derail the U.S.-brokered Oslo Accords. Hamas opposed the agreement, which led to the Palestinian Authority's creation, in part because it marginalized the Islamists' Hamas influence and because it recognized Israel's right to exist, a concession opposed by the Hamas charter that seeks the Jewish state's destruction. The meeting sought to win over Americans to the Islamists' cause without revealing the participants' Hamas support. Baker admonished the meeting participants to refrain from mentioning Hamas by name, instructing them to refer instead to "Samah," which is "Hamas" spelt backwards. In his self-interview, Baker described HLF as "agents of peace" who "were helping the Palestinians build their own peaceful nation." But a slogan listed in the Hamas charter, contradicts this claim: "Allah is its goal, the Prophet its model, the Koran its constitution, Jihad its way, and death for the case of Allah its loftiest desire." Baker alleged that "neither the U.S. authorities nor their Israeli counterparts were able to provide a speck of evidence that linked us [HLF defendants] to acts of violence." "Nor did any such evidence exist against charitable institutions we've been prosecuted for aiding. There is no list of 'victims' and co charges of actual violence or even 'advocating for violence.' There couldn't be any because our work was totally focused on saving [people in need]," he added. Jurors in the HLF trial saw a long paper and video trail of evidence as well as testimony which proved HLF sent millions of dollars to Palestinian charities controlled by Hamas. HLF, in partnership with the IAP, the Muslim Arab Youth Association (MAYA) and other Islamist groups routinely hosted senior members of Hamas and other radicals at conferences, Intifada festivals, Ramadan and other events held in the U.S. Hamas symbols that glorified martyrdom were prominently displayed at these events. In addition, HLF organized "conference calls" with Hamas leaders based overseas to solicit donations to HLF from U.S. audiences. In videos jurors saw during Baker's trial, actors portrayed Hamas terrorists shooting and choking Jews. As the audience chants "God is great" in the choking sketch, the Hamas character says, "Say, I seek refuge with the Lord. Only Hamas can liberate it." A video from the trial shows Baker urging the crowd "to get ready, show the money, and get tough." Baker's speech is preceded by a performance by the Al-Sakrah band repeatedly glorifying the intifada and alluding to the 7th century Battle of Khaibar between Muslims and Jews that ended in a Muslim victory. "You will not cross over my blood, over my blood. You will not live in my homeland, in my homeland. and glory to us above the ground. The Army of Muhammad will return." Feeling his whitewash complete, Baker ends his auto-interrogation sounding an upbeat note: "I have no doubt in my mind that the HLF five will walk home," he said. "... Allah is just and He will not allow injustice to linger around for too long."